Does Kung-Fu come from Kalaripayattu? I read some online texts that say Kung-Fu is originated from Kalaripayattu. Is there any truth to this claim? The Shaolin temple itself was founded by an Indian Dhyana master Buddhabhadra. On one of the walls of the Shaolin temple a fresco can be seen, showing south Indian monks, teaching the Chinese the art of bare-handed fighting. On this painting (see image below) are inscribed: Tenjiku Naranokaku which means: the fighting techniques to train the body (which come) from India. The main point is that while (apart from the questionable historicity of the person) Bodhidharma is seen as the spiritual father of the monastery, there is no evidence that there was any influence regarding martial arts (or, for that matter, that "he" even was proficient). It is only in modern times that stories were made up to provide a unity of religion and martial arts that provided further credibility and myth to the alleged superiority of (Shaolin-)Kung Fu. The monastery itself was most certainly founded by an indian-born monk "in the last decade of the fifth century" (p. 9), while the first archeological hints to Buddha are from 728 and 798 respectively (p. 14). Martial arts came into focus a long time after founding. all martial arts originated from kuttu varisai and nattu adimurai..these martial arts were originally practised by Tamils living in the southern part of india (Tamil Nadu..but in particular it was from the district of kanyakumari). Not the answer you're looking for? Browse other questions tagged kung-fu history kalaripayattu or ask your own question. Did martial arts really originate from India and is it based on yoga? Do all schools of BJJ come from the same root? Where do kneeling and bowing down in Kung Fu come from? Have any Kung Fu styles established a formal connection to the Shaolin Temple? 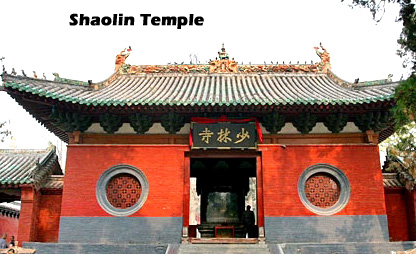 Was the Southern Shaolin Temple real and if so which location is valid? What Kung Fu styles originated from Southern Shaolin? When was the Southern Shaolin Temple destroyed?